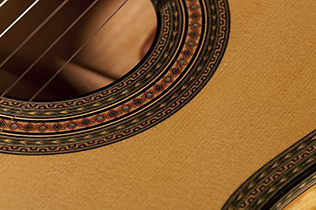 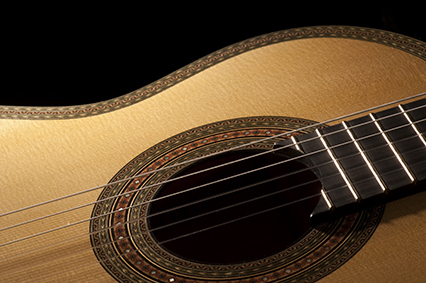 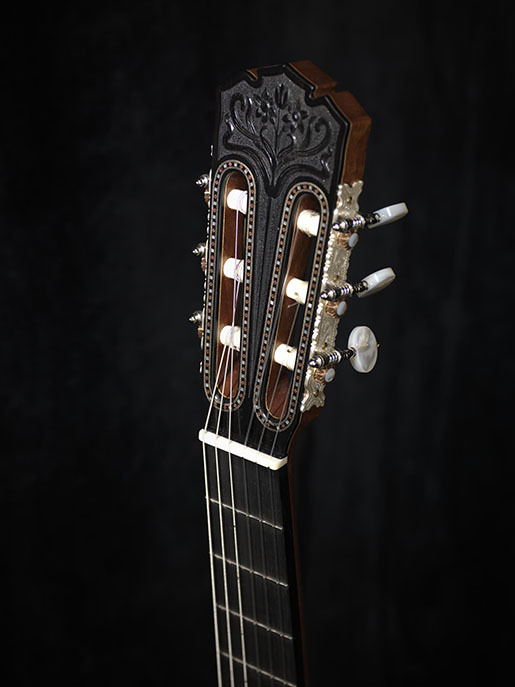 Garcia/Simplicio Guitars are well known for their exceptionally high degree of ornamentation of both the relief carving on the head and the intricate mosaics found in the rosettes and purflings. 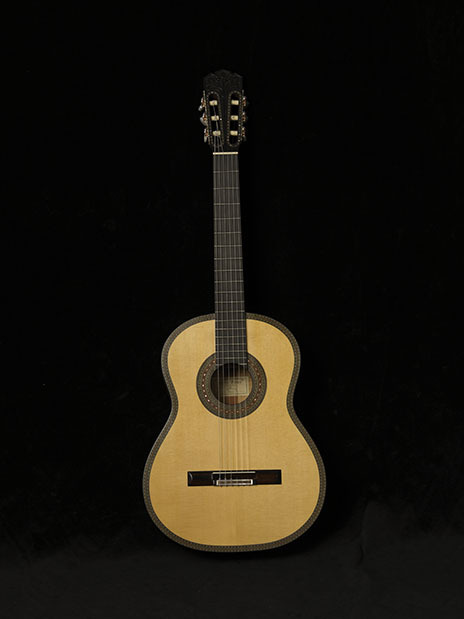 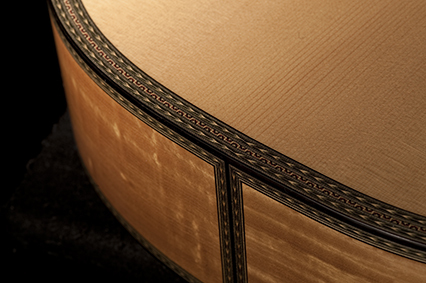 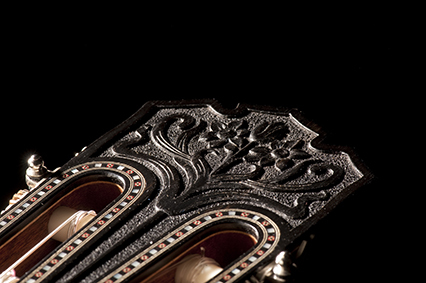 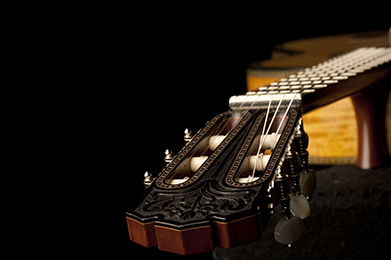 The 1931 guitar is unquestionably the most ornate that Simplicio ever produced. 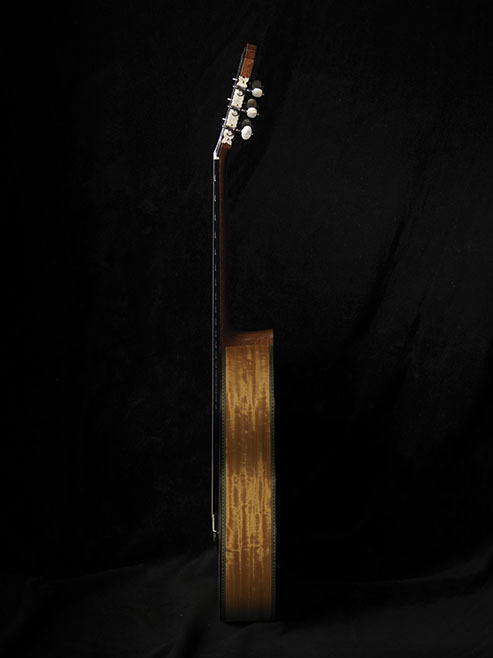 This is my presentation of the 1931 guitar. 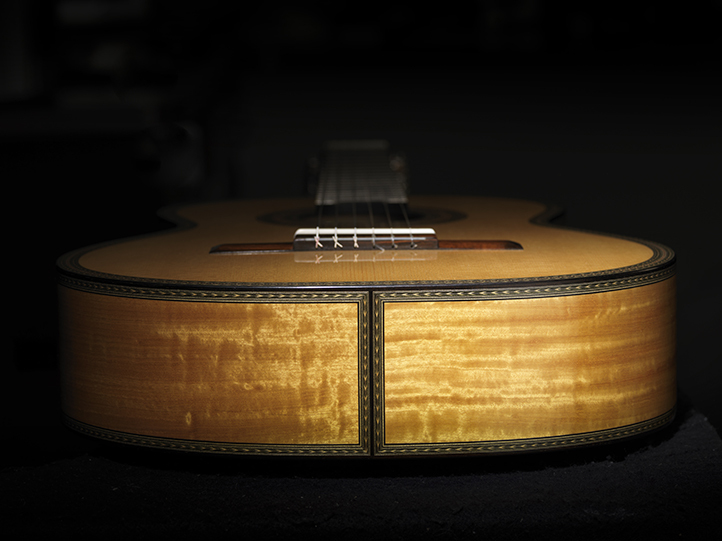 All of the marquetry is the same, however I have used a different pattern for the head carving. 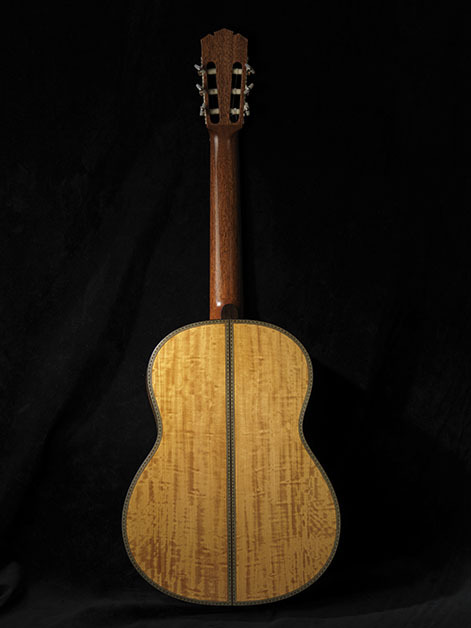 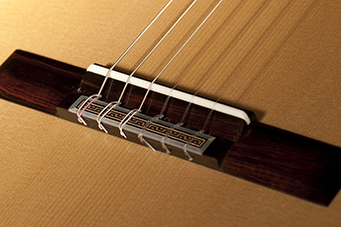 The original 1931 used rosewood for the back and sides, whereas I have used figured satinwood for this instrument. 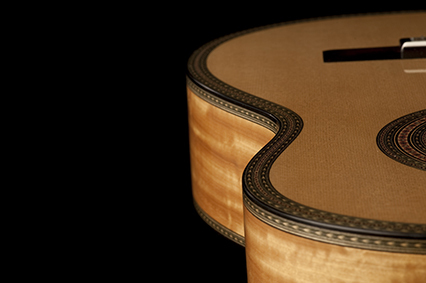 Brazilian rosewood or maple for the back and sides, Rodgers tuning machines.